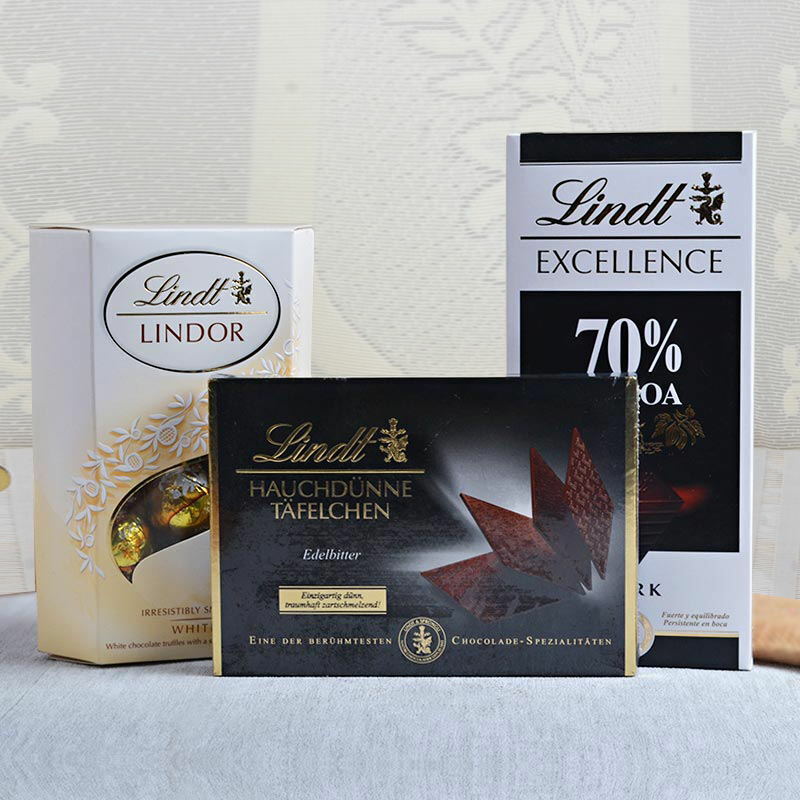 Product Consists: Lindt Lindor irresistibly smooth White (Weight: 200 Gms),Lindt hauchdunne tafelchen (Weight: 125 Gms) along with Lindt 70% Cocoa (Weight: 100 Gms). 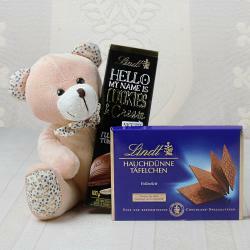 If you are looking for a delightful gift to present to anyone who is near to your heart, chocolates can do wonders. Chocolate is the best thing to make anyone's heart melt with love. Rich and tempting taste of chocolates is especially of these chocolates that we have here in this hamper, will delight anyone. 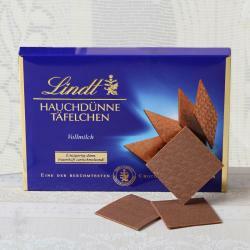 Chocolates are loved by all right from kids to grownups. So they become a perfect gifting solution for every occasion. Surprise your loved ones with these sweet delights even on an ordinary day to tell them how much you love and care for them. Everyone loves eating chocolates and these chocolates, which have delicious covered in chocolate taste just like little bits of heaven. 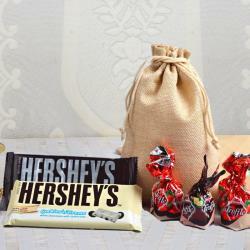 It is special gift item which is all set to give a treat of awesome taste to the receiver. 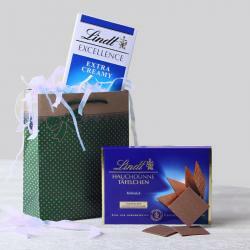 Product Includes: Lindt Lindor irresistibly smooth White (Weight: 200 Gms),Lindt hauchdunne tafelchen (Weight: 125 Gms) along with Lindt 70% Cocoa (Weight: 100 Gms).